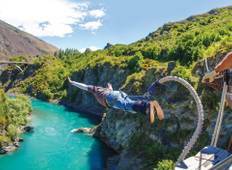 Find the best 2 week tours and trips starting from Christchurch. Choose from 19 tours - we've found the most popular time to visit is in November with the most number of tour departures. "Last day of the tour was pretty much a wasted day. Who wants to go to a winery at..."
"Burto is a legendary guide! I have been to 31 countries and on countless tours of..."
"Stray is a really fun experience. It's perfect if you're travelling alone or just..."
"Having experienced a standard Haka tour and a Haka Plus tour I would say, on balance..."
"I highly recommend Stray for budget travellers who do not self drive in NZ. Just..."
"A brilliantly organised tour with something for everyone! Hygi is an awesome tour..."
"My Stray experience was quit good! 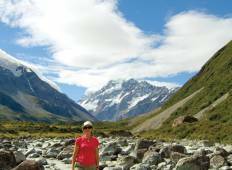 It's nice that you stop on different places between..."
"the 2-week journey was a perfect way to see most of New Zealand's beautiful south..."